The structured panel design of this cap is sure to add the final touch to your casual weekender look. Choose your style from a striking burgundy crown and contrasting grey peak, or a grey crown with a contrasting black peak. 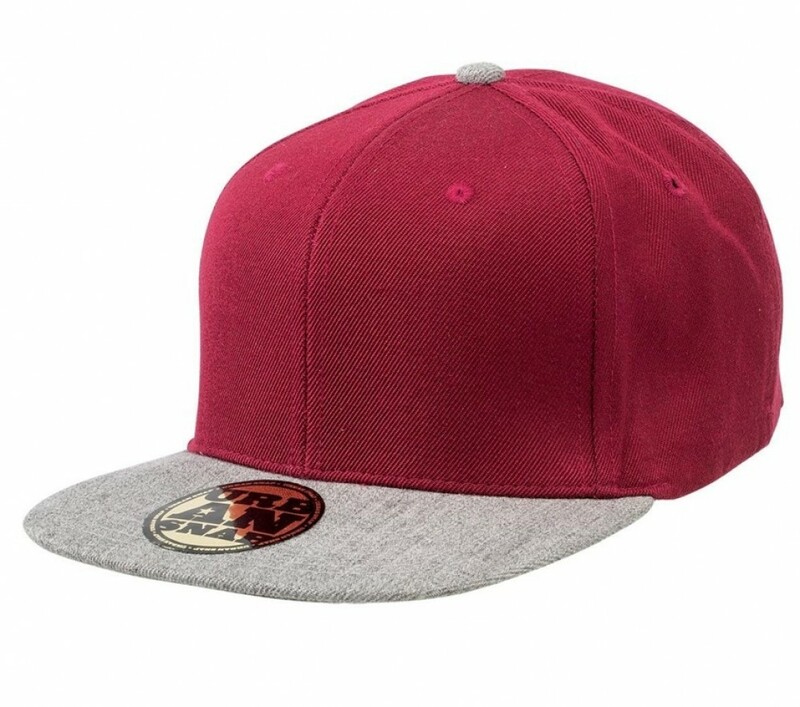 The cap is manufactured from quality fabric designed to stand the test of time and is finished with a classy construction with double stitching for extra durability. An inner padded cotton sweatband makes it ideal for those hot sunny days and a plastic snapback fastener at the back is adjustable for the perfect fit. Caring for the cap is easy, don't crush or squash it when not in use, hang from a hook or on a hat stand. Wash in warm water and allow to air dry in natural sunlight. Handing out caps at trade show stands and expo stalls always helps create a wow-factor around your brand. This cap comes with a round custom gold foil sticker on the front of the brim, for added exposure of your brand name. Branding of your logo and graphics is done using the latest embroidery technique and can be placed on the peak, sides or back of the cap. Our pricing includes 8k embroidery of your personalised graphic. Embroidery can accommodate multiple colours. A once off set up of $50 applies for orders under 50 units. Pricing excludes GST. Delivery of this item is within Australia only.